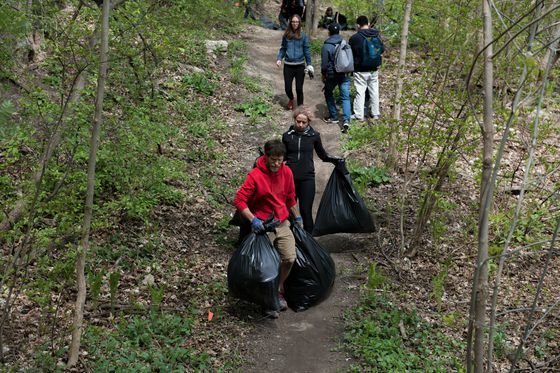 Daily runs in Toronto’s Don Valley Trails have turned into cleanup hour for national master-class trail runner Lawrence Warriner, who has been filling bags with litter he’s collected from the area. 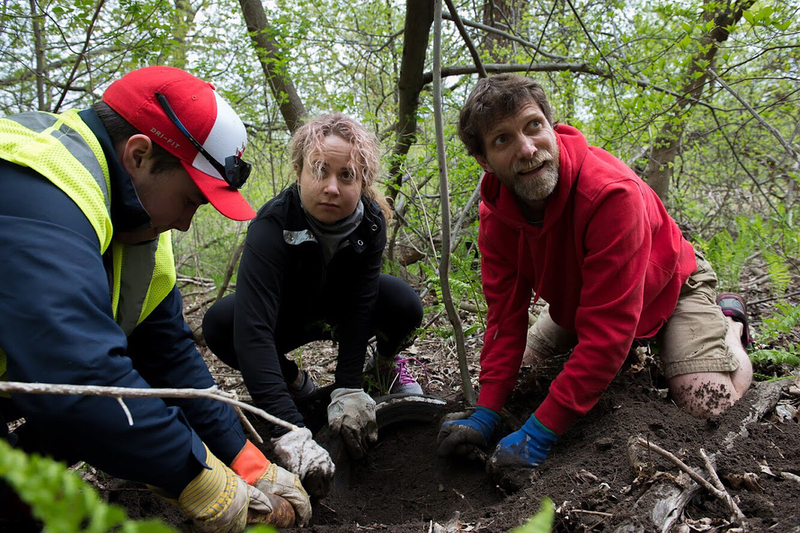 Mr. Warriner has been running in the Don Valley Trails, a large green space with a number of ravines and paths in the city’s east end, alongside other runners, hikers and bikers, for years. As the founder of Toronto TRUE Running, Mr. Warriner leads running groups through the trails and blogs about his experiences. 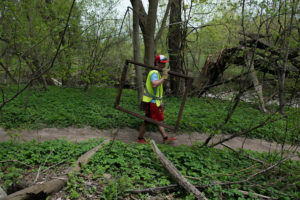 In early April, he received attention from other trail users after writing a blog entry titled, “We can do better, and I can do better,“ which focuses on the growing amount of litter in the area. “It makes me feel like I’ve let the world down,” says Mr. Warriner, adding that he can’t believe he’s let the area get to this state of disrepair without taking action. So he took action. And when he was out and about in the valley with a garbage bag, people would stop to talk and help him pick up the trash. In response to this support, Mr. Warriner and others created a group called “Don’t Mess with the Don,“ which is working to engage the community in cleanup efforts. This past Saturday, the group joined University of Toronto’s mountain biking team to collect garbage in Thorncliffe Park. According to Mr. Warriner and local city councillor Jon Burnside, the areas with the most garbage are located behind residential buildings in the Thorncliffe Park area. The accumulation of litter in these areas is allegedly caused by tenants who are throwing garbage off their balconies into the forested area. Thorncliffe Park Tenants Association has been in contact with Mr. Warriner, but did not respond to an interview request. “There’s certain members of the community, I don’t know who they are, but they just have this attitude that the valley is their garbage can,” says Mr. Burnside, adding that he receives annual complaints about the trash in the valley. Scheduled cleanups by the city or community groups and enforcement by property management of proper waste disposal offer temporary solutions, but Mr. Burnside is uncertain about long-term maintenance options for the area. David Wright, head coach of U of T’s mountain biking team, says he has seen this issue persist for the past 18 years. His team of cyclists, who often use the valley trails to train, have dedicated one day a year to cleaning up the area. “For the fi rst couple of years, we were pulling out everything, dishwashers, car engines, safes, bicycles, shopping carts,” says Mr. Wright. These days, he says, the litter is mostly household waste. Since most of the garbage has piled up along the steep valley walls, Mr. Wright says it’s a lot easier for tenants to ignore the problem as the damage isn’t visible from residential balconies. Beyond clearing out the space, the mountain biking team has placed information posters in the lobbies of some residential buildings and works to raise awareness in elementary schools in the area. Mr. Warriner has also started to film a documentary about the area in the hope that the community will start to engage with it more. “You take care of the spaces you use,” says Mr. Warriner, adding that the “Don’t Mess with the Don“ campaign is helping to bring renewed attention and solutions to the ongoing challenge.